This elegantly simple wall mount copper mailbox is constructed of solid 20 ounce copper .This is real 20oz. copper. 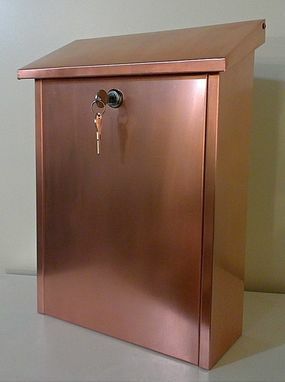 The lock cam comes with 2 keys.The incoming mail slot is 1.5" Tall x 9.5" Wide and the large mail access door makes removing the mail a breeze.